What’s a body pillow, anyway? A body pillow is an over-sized pillow designed to be hugged by sleepers, with some types of body pillows that even cradle sleepers. Different body pillows vary in length, shape, and size. Pregnant women, in particular, benefit greatly from body pillows since they provide the necessary support especially for the legs and backs of expectant mothers. Long and rectangular, like a regular bed pillow but somewhat narrower and usually a little flatter. Bolster-type round and long pillows. My partner and I call them sausage pillows because of their shape. 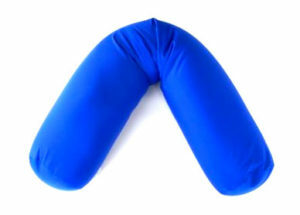 U-shape or C-shape pillows that not only provide support for a person’s head and knees but also his or her back, with the other leg of the U cradling the sleeper. 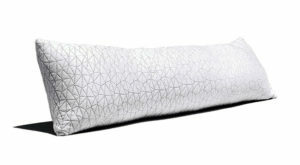 Many pregnant women prefer U-shape or C-shape pillows and continue to use them for nursing after they’ve given birth. Body pillows can also be filled with different types of material—latex, wool, memory foam, or a blend of materials, etc. Some types even have a filling that can be adjusted to your level of comfort. These pillows come very full and can be unzipped and reduced depending on your desired firmness. I do like body pillows, very much indeed. But I don’t just like them because of a personal quirk, there are actually a lot of benefits to using a body pillow for sleeping. They’re really good for one’s health! Let me say this, too. I have a history of insomnia, and so it’s important to me to get as comfortable as possible so that I can sleep. Lack of sleep can cause a lot of health problems such as anxiety, weight gain, high blood pressure, heart disease, and diabetes. It’s actually very scary to go without proper sleep if you think about it. The bottom line is this: having a body pillow helps me sleep better. And better sleep is vital to staying healthy. 1. Body pillows provide support for pregnant women. As every woman knows, pregnancy is tough on the body. The bigger an expectant mother gets, the more difficult it is for her to find a comfortable position for sleeping. Pregnant women are usually told to sleep on their left side since this is best for her circulation and for the blood supply to the baby. But using just regular pillows can cause some back pain, which pregnant women frequently complain about. This is where the body pillow comes in. It supports the expectant mom’s belly so she can safely sleep on her side. And, since the body pillow is long enough, she also gets support for her knees. Finally, if she uses a U- or C-shaped body pillow, she gets support for her back as well. There is no one-size-fits-all body pillow option for pregnant ladies, so it’s good for them to test and try them out until they find what’s best for them. The good thing is that many companies that make body pillows offer the option of returns and refunds. 2. Body pillows offer a pain-free option for stomach sleepers. Doctors say: “Sleeping on your stomach is the least advisable position“, since it renders the neck immobile for at least a few hours, which could lead to a lot of pain. The solution is simple, right? Just make it a point to lie down on your back or side before sleeping. Wrong! Because a lot of people can actually start out on their back or side and in the course of the evening, end up on their stomachs. But body pillows offer a real solution. By sleeping on the body pillow instead of directly on your mattress, a stomach sleeper gets much-needed neck support, since the body pillow is long enough to cradle the neck. This eliminates waking up with neck pain. 3. Body pillows give sleepers extra warmth and comfort. Since you are hugging your body pillow or getting back support from it every night, you get extra warmth, which is especially useful in cooler months. But, at any time of the year, the temperature of our bodies goes down by 2 degrees since it’s easier to sleep when we feel cooler. As the night goes on and temperatures drop further, you really do end up appreciating the added warmth that body pillows bring. 4. Body pillows offer pain relief. For people who suffer from arthritis, osteoporosis, fibromyalgia or just simple joint, muscle or back pain, body pillows can help greatly. This is because body pillows ensure spinal alignment, and the pressure points in your head, neck, back, and legs are relieved, and therefore pain is relieved as well. 5. Hugging a body pillow can reduce stress. Studies have shown that hugging is one of the ways of alleviating fear, tension, and anxiety. This is because the act of hugging releases oxytocin, the hormone that quiets the nervous system, warms the body and releases stress. And while this is especially true of interpersonal hugs (give someone you love a great big hug today! ), it can also work even with inanimate objects, as we see when a small child is comforted by hugging his or her favorite stuffed animal. When you hug your body pillow all night long, your body releases stress. Think about it—that’s good news! 6. Body pillows can lead to deep relaxation in your sleep, which translates to health benefits. Since your weight is more evenly distributed all over your body when you use a body pillow, this helps you achieve deep relaxation. When you are deeply relaxed, your cells and tissues receive a greater oxygen supply, which means the circulation of your blood is better as well. Unlike many other body pillows, the Squishy Deluxe is filled with micro-beads. Yes, you read that right. That’s probably why the support it gives is soft but firm. It comes in a 47” X 7” size and supports the whole body. And because of the micro-bead stuffing, the Squishy Deluxe can be molded into any shape that the user desires, unlike pillows stuffed with latex, wool or other materials. And so if the user needs extra support in his or her back, knee, shoulder, etc. this pillow is perfect. The Squishy Deluxe pillow is also hypoallergenic and dust-mite resistant. Both the cover and the pillow itself can be conveniently machine washed. And, because of the micro-beads, the pillow allows for more air circulation, and so sleepers who easily get warm get extra cooling comfort. I say that the Squishy Deluxe is perfect for people with health issues because the pillow is perfect for those recovering from surgery or injuries, as it gives localized support. It can also be used by pregnant or nursing women. If you’re worried about leaking beads, no worries. The manufacturer reinforced this pillow with double seams so the beads don’t leak out. But if you have cats in the house, either keep them away from your bed or reinforce the Squishy Deluxe with a stronger, more scratch-proof cover. One more plus for the Squishy Deluxe, it comes with a 6 month, 100 percent satisfaction guarantee. Within that time you can return it and get a refund, or have them replace it if it has defects, no questions asked. The pillow comes in four colors: sky blue, navy blue, cream, and mint green. It’s lightweight, moldable, keeps you cool, and has a 6-month money back promise and free shipping. Although the manufacturer claims it’s odorless, some people reported slight off-gassing. Also, the small zipper is said to be scratchy to some. Finally, like all microbead pillows, it will need to be replaced after a while because the beads get flattened with time. The Snoogle (isn’t that a delightful name?) is a C-shaped maternity and pregnancy pillow created by a registered nurse who also happens to be a mother herself. It can be used a couple of different ways — the sleeper can use the top of the “C” to rest her head, and the bottom of the “C” between her knees. This way, her baby bump rests on the bottom part of the “C” as well, and her back is supported by the rest of the pillow. Another alternative is the other way around. The user can put her arms and legs around the long part of the pillow, still resting her belly on the pillow, as well as keeping her knees well-supported. The Snoogle is long enough to support the user from head to toe and can be stretched out as needed. There are four other positions that the Snoogle can be used in, which can be found in the manual that comes along with it. Some pregnant ladies need one pillow each to support her back, tummy, hips, and knees, as well as the one for her head, of course. The problem is that this can be very inconvenient, because every time she moves, she displaces one of her pillows! The Snoogle takes care of this, eliminating the need for multiple pillows. And because it’s just one, albeit very long, pillow, moving around will not displace it. The Snoogle has a pillow cover that’s machine washable. The pillow itself cannot be washed, so when it needs to be cleaned, users can just spot clean it. But I can understand the whole not-washable-in-the-machine feature, since this pillow is quite big, at 60 by 24.8 by 7.2 inches. It also comes in a nice array of colors you can choose from, such as grey, ivory, sage, and mauve. Thousands of people have expressed their satisfaction with the Snoogle. Of course, I researched this very carefully since I want to become a mum one day, and when the time comes, I know exactly what pillow to get! This product is so good that even The Sleep Advisor gave it high marks. So did The Sleep Judge, by the way. 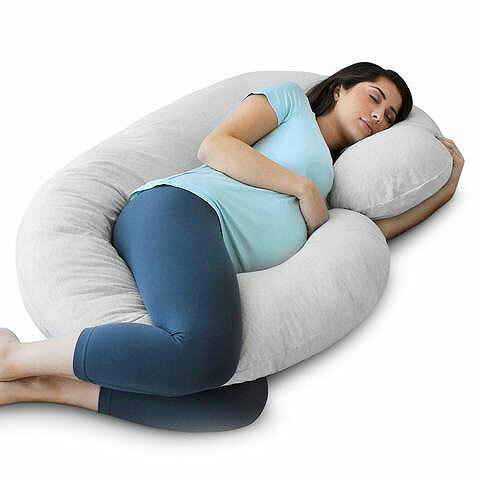 Pregnant women love the Snoogle for its excellent head, back and leg support. That’s a huge pro in and of itself! Its size makes it not machine-washable. And its size also tends to get between partners, which some say is a barrier to bedtime intimacy. You don’t want to love your Snoogle so much that you’re forget to snuggle with your sweetie! Users say it takes two people to put the cover back on the Snoogle after you’ve washed it. This makes perfect sense since the Snoogle is huge after all. Already a mom and looking for pillows for your precious little one? I’ve got you covered. Check out all about choosing pillows for your toddler right here. Okay, guys, I think I’ve found the ultimate King of Body Pillows. Seriously. This. Is. The. One. That. I. Want — since it strikes the right balance between support and comfort. The Snuggle-Pedic Ultra Luxury pillow fits 20 x 54-inch body pillow cases and covers and has Kool-Flow Breathable Cooling Hypoallergenic Pillow Outer Fabric. Do you know why this sounds like heaven to me? Because I get easily warm at night, even if our bodies do drop 2 degrees when we sleep. I’m a sweaty sleeper and have been since I was a child. Made of bamboo-derived rayon and CertiPUR-US Certified foam, the Snuggle-Pedic adjusts itself fully to any shape. Like the Snoogle, it can be used between your arms and knees as a “huggy” pillow, or it can rest along your back with the lower end between your knees. The versatility of the Snuggle-Pedic is just amazing. It’s hypoallergenic, breathable, and dust mite resistant, and can be used by pregnant ladies as well. And best of all, the whole pillow is machine washable and fits standard 20″ x 54″ body pillow cases. This is a must for a neat freak like me, and I like having the pillows on my bed match everything else as well. If you’re unhappy with the Snuggle-Pedic, you can return it within 100 days of purchase. Coop Home Goods will give you your money back, no questions asked. The pillow also comes with a 20-year warranty, so you know that even if you pay a little bit more for it, it’s good for two whole decades. The Snuggle-Pedic is also good for relieving pain in muscles and joints, because of the shredded memory foam that your body sinks into, and that gives the pillow a cool feel. Cool feel, money back guarantee, 20-year warranty, and fully machine washable. Good for body aches and pains. The Snuggle-Pedic is quite hefty, at 7 pounds. And among the three pillows, I’m recommending, it’s the most expensive. But still and all, it does look like it’s worth it. I have a big, heavy duty washing machine at home anyway, so I don’t mind the heft of this pillow. And since it’s supposed to last a good long time, I’m okay with plunking down the $ for it. Don’t just take my word for it that body pillows are awesome. Why not try them on for size? They may be the missing factor in your sleep life that you’ve been looking for all these years. When I’m ready to say goodbye to my good old sausage pillow, which turns 3 years old in January, I think I will be ready to say hello to the Snuggle-Pedic! Or maybe I’ll just get a matching set, one for me and one for my partner, this coming holiday season. It’s never too early to plan gifts! Thanks for journeying with me about body pillows today. Can you tell how passionate I am about body pillows? To be honest, aside from my partner and a glass of white wine, my body pillow is my favorite sleep aid, since it guarantees that I get the deep rest and relaxation I deserve. I love the microbead body pillow! My son has a body pillow that we got from the local “discount store”. I just recently washed it and that totally ruined it. It is now all twisted and lumpy and he is quite upset with me. This one looks like it is of much better quality and I can see that it will never get lumpy with it having the beads. Great review and I am heading to purchase! Yes! I finally found what I was looking for. I saw body pillows before, but only with pregnant friends. Since I am a stomach sleeper and cannot fall asleep in any other position my neck do get stiff, as you said. I am seriously eyeing your snuggle-pedic bamboo pillow. Also, do you know why some people sleep with pillow between their legs? Is it a back problem or something else? I have a friends that does that and I’m wondering if I should tell him about getting himself a body pillow? Ummm I just like this body pillow. It’s structured the way we keep our legs when we go to bed and someone can easily sleep or fall asleep when using this body pillow coz maximum comfort is assured with it and for a pregnant woman who uses it will have so much comfort and as well have good time. 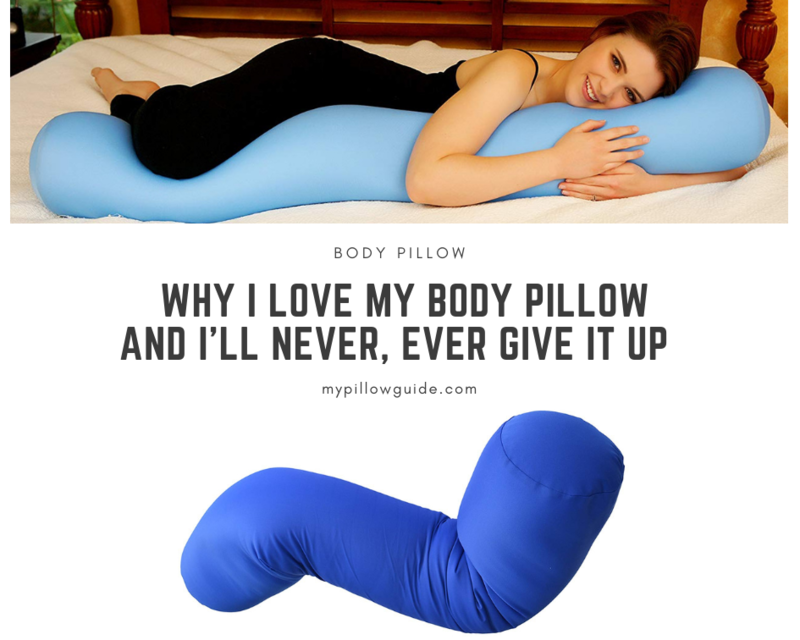 A light and easy to follow post on the many positive outcomes of using a body pillow and you have convinced me that these are for me! Following that your reviewed products are all ones that I would invest in, as they seem to be of high quality and look like they would be comfortable to sleep with. Having said that, I also know that my pocketbook nor my bed could accommodate ALL of them, so I ,ust make a choice of 1 or 2 maximum! This will be tolerable for my wife until she sees the value of these pillows and like your husband, starts using the ones I buy for me! Of the many you have reviewed, I like the same one that is your favorite: The Snuggle-Pedic Ultra-Luxury Bamboo Combination Shredded Memory Foam Full Body Pillow is like the Mercedes of pillows! It has all the features I think I will want, and it looks sleek and ready for my bed! There are a lot of features that I like and the 100-day return policy is also attractive! The other one that is the one I really like and will use is the first one, the Microbead Body Pillow with Silky Smooth Removable Cover. This is great for my back I think, and also it is big enough that I can likely not lose it all to my wife once it is on the bed! The middle pillow you added looks great, but since I am not pregnant nor ever will be, and my wife is past the age for having children, I think we can safely leave this one off the shopping list today. I did like the review video and think it is a great pillow for women that need something like this (we did not have such an option 4o years ago when we were busy having children!). Thanks for the great post on your nest body pillow recommendations and advice, I learned a lot and now am ready to make my purchase! Thanks for this article about the body pillows. I didn’t know that it has that many benefits and I also didn’t know that sleeping on your stomach is a bad position. Is it really help to sleep more relaxed? The reviews about the 3 pillows were helpful. 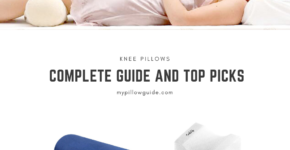 I am not a pillow fan, but now I know how to choose the right pillow. 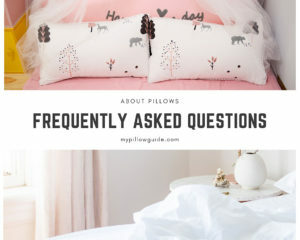 I will check your other posts about pillows to learn more.